In 1995, director Richard Stanley, hot off the indie horror flicks Hardware (1990) and Dust Devil (1992), is approached by New Line Cinema to direct a remake of H.G. Wells’ The Island of Doctor Moreau. But after production starts in a remote area of Cairns, Australia, Stanley realizes he’s in way over his head: A big-budget motion picture with hundreds of extras; the out-of-control egos of stars Marlon Brando and Val Kilmer; a studio too scared to lose their investment. A week of shooting in, Stanley is fired and replaced by director John Frankenheimer… who is equally unsuccessful in wrangling Brando and Kilmer. The end result? A film considered, by all accounts, a piece of crap (I only recall bits and pieces, none of them good). 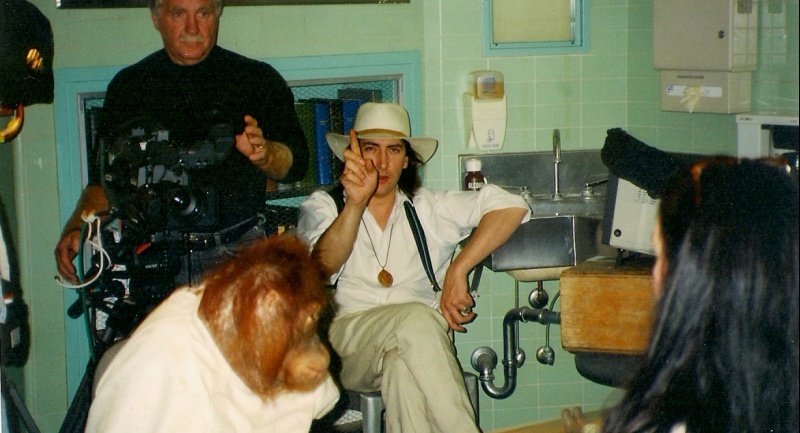 Lost Soul: The Doomed Journey of Richard Stanley’s Island of Dr. Moreau is a revealing documentary that brings Stanley back into the spotlight after decades of hiding (he’s continued to write and direct low-profile films and documentaries). His traumatizing experiences on The Island of Dr. Moreau serve as the bulk of the doc, but equally entertaining are the cast and crew recollections. As you hear about Brando’s first day on the set – face painted white for no reason and insisting on having peacock feathers on the shot – or Stanley himself resorting to witchcraft as he tries to be kept on board (seriously), you realize how bonkers the business of movies really is. Lost Soul is a bit aimless at times, and I think it would’ve benefitted from interviews with other cast members such as David Thewlis and Ron Perlman. While Brando and Frankenheimer are both gone, I wonder if Kilmer was even approached to counter Stanley’s claims. But all in all, this is a behind-the-scenes film that will make you laugh and gasp, sometimes in the very same breath. Truth is indeed stranger than fiction. Damn, now I need to see The Island of Dr. Moreau again.